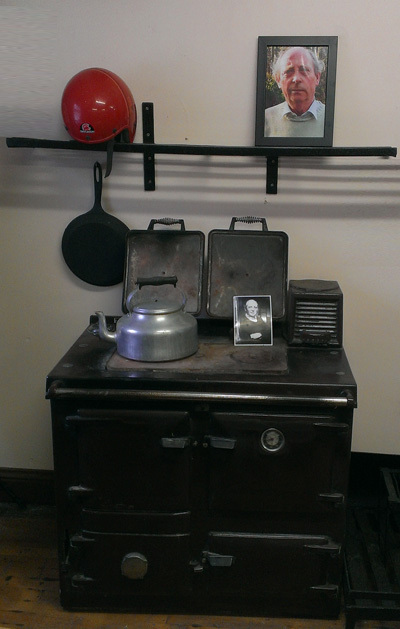 Glenview Museum is honored to house memorabilia related to the great Irish and Leitrim writer John McGahern. John McGahern (12 November 1934 – 30 March 2006) is regarded as one of the most important Irish writers of the latter half of the twentieth century. Known for the intrinsic and precise dissection of Irish life found in works such as The Barracks, The Dark and Amongst Women, The Observer hailed him as “the greatest living Irish novelist” before his death in 2006. Born in the townland of Knockanroe about half a mile from Ballinamore, County Leitrim, John McGahern was the eldest child of seven. His mother brought up the family on a small farm which she ran with outside help as she was also the local primary school teacher. His father lived some 20 miles away in the garda barracks at Cootehall in County Roscommon. He was the Garda sergeant of the village. When John was around nine or ten his mother became ill with cancer and died. The family then moved to Cootehall to live with their father. John completed his primary schooling there, and won a scholarship to the Presentation Brothers secondary school in Carrick-on-Shannon. He traveled there daily and again won the county scholarship in his Leaving Certificate enabling him to continue his education to third level. He was offered a place in teacher-training at St Patrick’s College of Education in Drumcondra. Upon graduation he began his career as a primary school teacher at Scoil Eoin Báiste (Belgrove) primary school in Clontarf where, for a period, he taught the eminent academic Declan Kiberd before turning to writing full-time. He was first published by the London literary and arts review, X magazine, which published an extract from his first – abandoned – novel, The End or Beginning of Love. 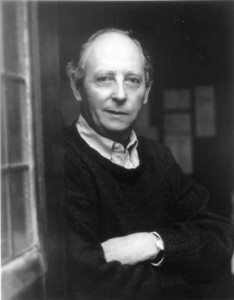 McGahern’s novel The Dark was banned in Ireland for its alleged pornographic content and implied sexual abuse by the protagonists father. In the controversy over this he was dismissed from his teaching post. He subsequently moved to England where he worked in a variety of jobs (including on building sites) before returning to Ireland to live and work on a small farm near Fenagh in County Leitrim, located halfway between Ballinamore and Mohill. John died from cancer in the Mater Hospital in Dublin on 30 March 2006, aged 71. He is buried in St Patrick’s Church Aughawillan alongside his mother. The Barracks (1963) AE Memorial Award, McCauley Fellowship. Amongst Women (1990), Irish Times/Aer Lingus Literary Award (1991), GPA Award (1992), nominated for the Booker Prize (1990). Memoir (2005). Published in the USA in 2006 under the title All Will Be Well. The Collected Stories (1992), includes the three previous volumes of short stories (some of the stories appear in a slightly different form) and two additional stories – ‘The Creamery Manager’ and ‘The Country Funeral’. The former first appeared in Krina (1989). Creatures of the Earth: New and Selected Stories (2006) contains several stories collected in The Collected Stories, here revised by McGahern for the last time. Again two new stories, ‘Creatures of the Earth’ and ‘Love of the World’, are included. Amongst Women was filmed as a television mini-series in 1998, directed by Tom Cairns, and starring Tony Doyle as Moran. One of McGahern’s best-known short stories, Korea, was made into a feature film of the same name directed by Cathal Black and produced by Darryl Collins in 1995. In 1996 Korea won the Asta Nielsen Best Film Award at the Copenhagen Film Festival and was runner-up for the Audience Prize at the Seattle Film Festival.